Seniors Kevin Del Giorno and Brenden Meagher are focused on improving on their past Meet of Champions results this season. 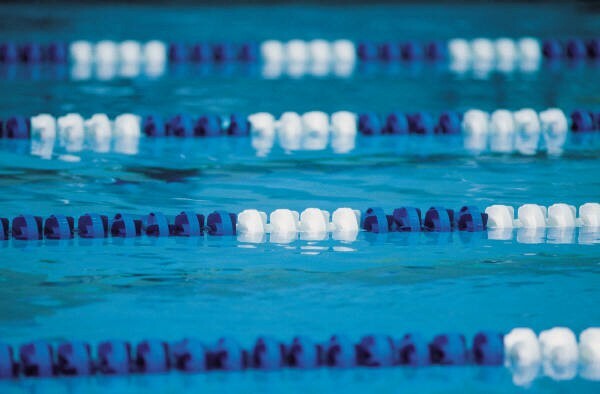 Shawnee High School seniors Kevin Del Giorno and Brenden Meagher are quite the dynamic duo in the pool for the Renegades’ boys swimming team. Each has qualified for the NJSIAA Meet of Champions in multiple events over the past two years. The two swim for the same club, X-Cel Swimming, and have even carpooled to practices together in the past. This year, Del Giorno and Meagher also share the same goals with Shawnee. Both swimmers are focused on becoming a high school state champion. Both Del Giorno and Meagher have competed in multiple Meet of Champions events in the past. Meagher has lots of experience competing in the season’s final meet. He has qualified for the Meet of Champions’ 100-yard breaststroke in every year of his high school career. In the past three years, Meagher has qualified for the B Final in the breaststroke every year, with his highest finish being 13th place as a freshman in 2015. Meagher has also competed in relay events at Meet of Champions for Shawnee. Meagher believes he has improved in a number of ways since he began high school. Breaststroke is the area he feels he’s had the most improvement. Del Giorno’s first appearance at Meet of Champions came during his sophomore season in 2016, where he qualified for the 100-yard backstroke and competed along with Meagher as part of Shawnee’s 200-yard medley relay team and 400-yard freestyle relay team. Del Giorno qualified again for the 100-yard backstroke in the 2017 Meet of Champions and also competed in the 100-yard freestyle in addition to swimming in relays for the Renegades. Del Giorno said he’s improved most in the butterfly over the past three years, noting he’s been able to put up much quicker times. Both swimmers are heavily involved with their club teams and have put more of a focus on the club season in past years. For their senior seasons, Del Giorno and Meagher want to go for the gold at Meet of Champions and have set up their training schedule so they will peak at the end of the high school season. Del Giorno and Meagher practice at X-Cel Swimming and join Shawnee for meets. Both swimmers love competing with the Renegades and believe the 2017–18 team has a lot of positive energy surrounding it. “There’s no way to feel doubt on this team,” Meagher added. Del Giorno and Meagher hope to help Shawnee get back to the sectional final this year. Last season, the Renegades advanced to the South Jersey Group B final before losing to Mainland Regional High School.